The makeup of your website has significant effects on its visibility through search engines, which is a very important aspect of customer acquisition. Search engine optimization is the process of adjusting your web pages to be more favorable for search engines. We’ve already determined some of the most important aspects of SEO for dental marketing, which you can employ in your website. Below are some of the variables we examined. Search engine optimization brings increased traffic, so it is definitely something you want to focus on in your marketing efforts. A simple formula for SEO is relevant website information and important keywords. But first, make your site mobile-friendly so that mobile visits are ranked on search engines. The main objective of a website is to help visitors easily find the information they seek and consider most important. 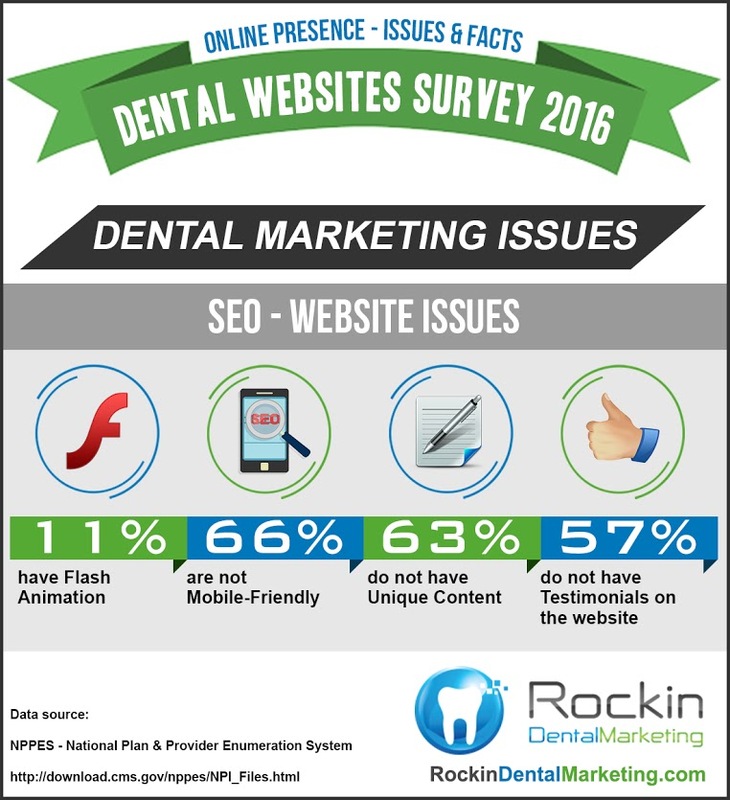 Know what your consumers want, know what information they are searching for and implement those aspects into your dental practice website. Websites that possess helpful information and answer consumers’ questions are more likely to convert their visitors into new leads/customers. 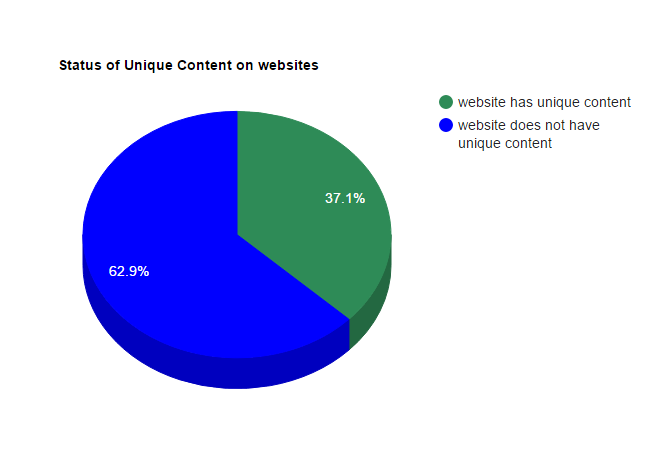 Having unique content is also crucial in order to maximize your visibility through keywords. This ensures that all relevant keywords exist uniquely in your content and are not generic to the point of mimicking other dental websites. Unfortunately, this mimicry is evident in 63% of dental websites, but by using unique content to support your keywords, you will increase your visibility on search engines. And don’t forget to install Google Analytics. Without it, your business will be unaware of website traffic and performance, new lead conversions, click conversions, event tracking, phone call statistics and more. What good are new customers if you do not know which search method helped them find your dental practice? Or which contact options on your website they gravitated toward? You need to be able to measure specific successes of your marketing campaign. Most dental websites do not have unique content. Less than 1% of dental websites have a Live Chat function. 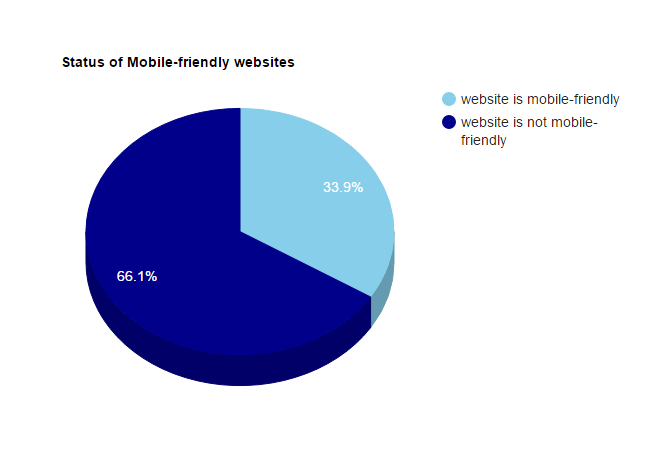 Two-thirds of dental websites are not mobile-friendly. 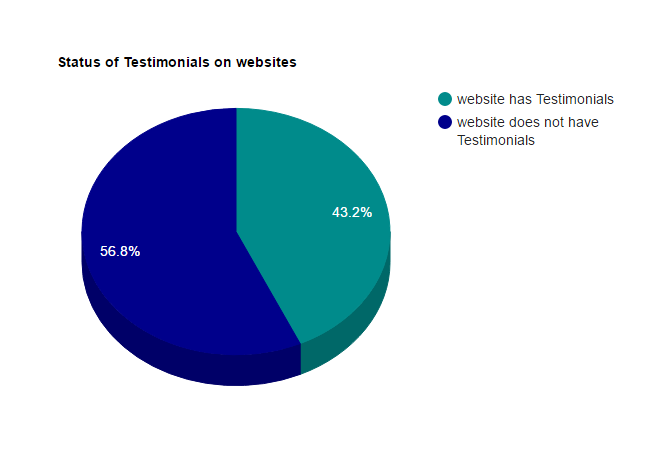 More than half of dental websites do not have Testimonials. 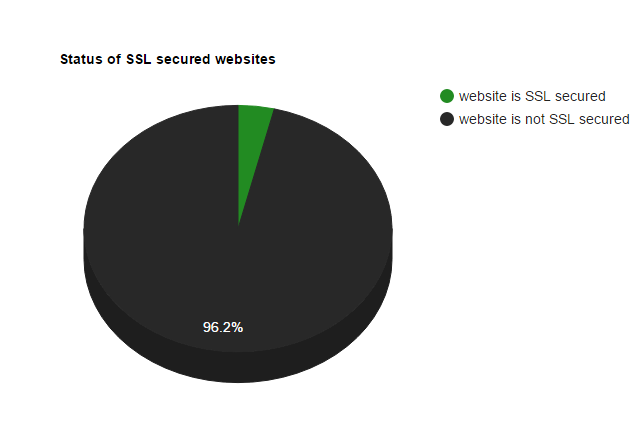 Almost every dental website is not SSL secured. Hardly any dental websites have Phone Call Tracking. 50% of dental websites do not have Google Analytics. To find out about other marketing variables, return to our survey on dental marketing. Or, read more on dental search engine optimization.